Doing up the dishes is not just an essential and important task since it has to be a clean and hygienic process otherwise it could turn out to be a health hazard. 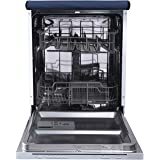 Driving out the daily woes, the IFB Neptune VX Fully Electronic Dishwasher with many advanced features not only brings about the sparkle to the utensils but is also a user friendly product. 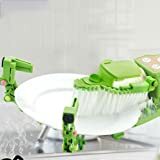 Jet washer mode: This fast and efficient mode is for cleaning the lesser greasy utensils like coffee mugs, tea cups, milk and tea making utensils. 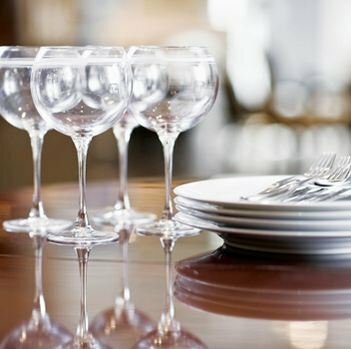 Thanks to this mode, one can clean the utensils in not more than 18 minutes using its four-place settings capacity, and get sparkling and new-looking utensils in a matter of minutes. 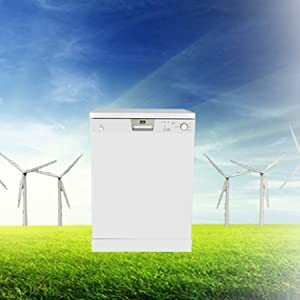 Energy saving efficiency: With a consumption rate of just around nine litres of water per day, this is an ideal machine that does not just clean the dishes but also saves water and power. 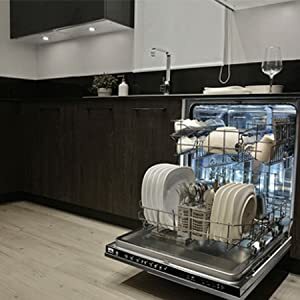 Adjustable racks for custom space: The dishwasher comes with racks and shelves adjustable through its height. This provides an ease of access to all the users and introduces more flexibility to the users for efficient cleaning. 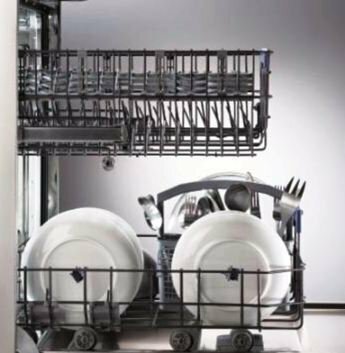 Flexible half-load mode: This option allows one to load either the upper rack or the lower rack or both of them together depending on the kind of utensils lined up for cleaning. 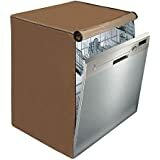 The functionality does not fall whether the dishwasher is half-loaded or fully loaded. 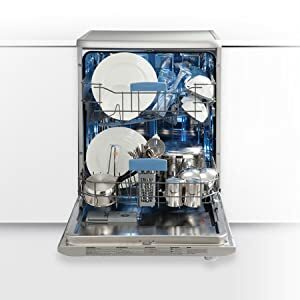 Water softening device for better cleaning: With its water softening device, the dishwasher can soften hard water up to 60 dh so that the detergent can dissolve perfectly in it, thereby cleaning the dishes and utensils more efficiently. This also leads to optimized detergent uses. 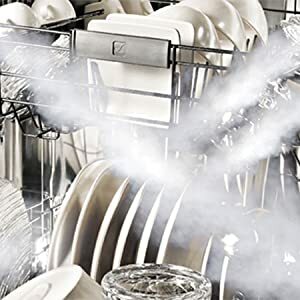 Steam drying option: This function tends to vaporize all the moisture, leaving the utensils perfectly dried out without leaving a speck of detergent or moisture mark over them. This makes the utensils look all new and fresh. 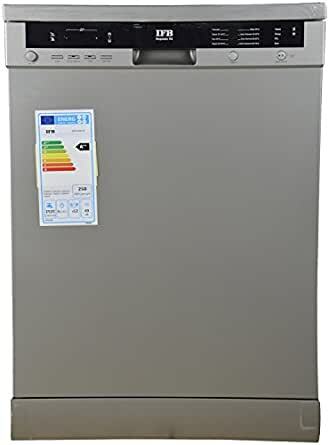 If there is one appliance that can take away your domestic woes at the press of a button, it should be the Neptune VX dishwasher. 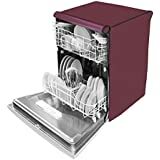 With 12 place settings and Flexible Half-load Option to Water Softening Device, a host of features help make your dishes sparkling clean. 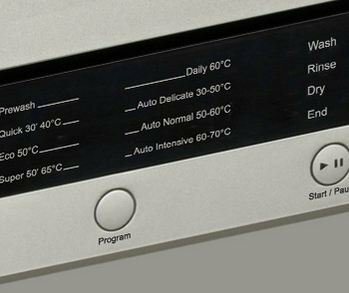 A hi-tech control panel complete with a stunning silver finish adds to the overall allure of Neptune VX. This impressive work of industrial design combines aesthetics and functionality, while blending into your kitchen decor with elegant ease. In Jet Wash mode, you can put fresh, comparatively less dirty, coffee, milk and tea dishes into the machine and clean them in flat 18 minutes. 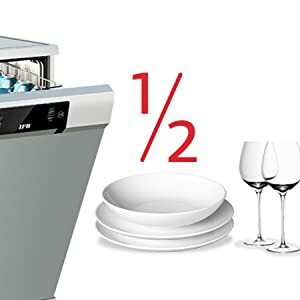 Not to mention this is one of the fastest dishwasher programs in the world. 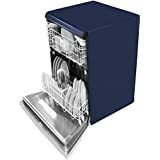 It cleans your dishes with 4 place settings capacity, and you have sparkling new dishes in a matter of minutes. With our adjustable racks, you have flexibility on your side. Move the racks and shelves through the height adjustable notches to best fit your utensils. 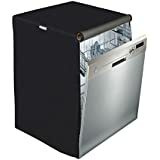 This option allows you to load either the upper or lower or both the baskets as per your needs for easy and sundry washing. 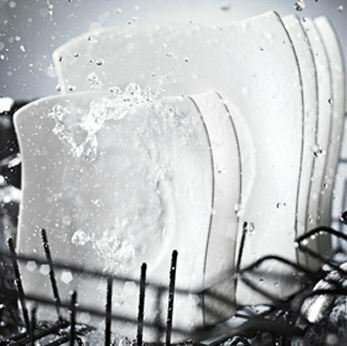 Steam drying ensures perfect drying of your utensils without any marks, drops or streaks on your dishes even when you choose a short programme. Now get spotlessly clean and dry utensils. Water Softening Device softens water up to 60 dh thereby increasing detergent efficiency. This paves the way for optimized detergent usage, minimizing environmental hazards. Just a small step towards caring for the environment and a better tomorrow. A hi-tech control panel and a stunning finish combine aesthetics and functionality, blending into your kitchen decor with elegant ease. It isn't really clean unless its steam clean! Steam drying ensures perfect drying of utensils without any marks, drops or streaks, even when you choose a short program. Get flexibility on your side - adjust the racks or shift shelves through the height adjustable notches to accommodate all kinds of utensils, crockery and cutlery. 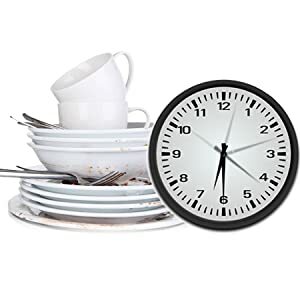 When you're in a hurry get the dishes done in upto 40 minutes. 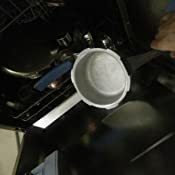 This fast program washes lightly soiled soup bowls, serving bowls etc. 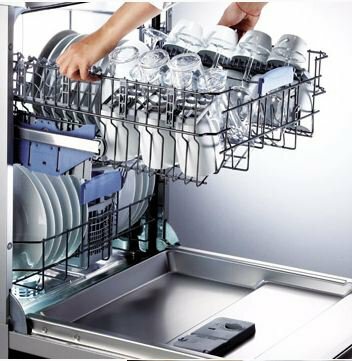 IFB Dishwasher's A++ energy efficiency helps save big on electricity bills and keeps your carbon footprint in check. Save on water bills too with upto 9 litres of water used per day. 1. Dishwasher doesn't wort with Indian Utensils is a myth. It works wonderfully. Though there are some limitations (will mention in cons). 2. 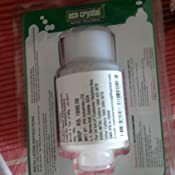 Saves a lot of time and energy and ofcourse has helped me keep my back pain null and mental peace from being dependent on a house maid. 3. Can be easily operated by any grown up. If the men in your house know how to operate a TV, they sure can take up managing this for you. 4. 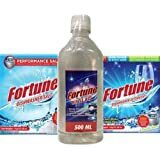 It not only cleans but also sanitizes the dishes due to the hot water being used. Very hygienic. 6. If planned well, accommodates the load of three time meals of a family of 3. 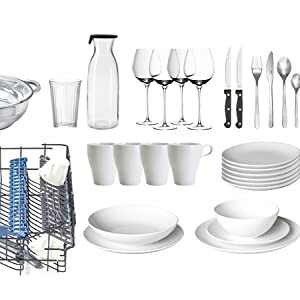 Minus certain dishes that are not recommended to be used in the dishwasher. 1. Wooden ladles, and non sticks are not recommended. Even if added, they do clean but not that well. Be careful of the grade of plastic before placing them to avoid melting due to heat. 3. Water consumption sure is probably more that regular. Yet to compare last month's water bill to this month's. 4. 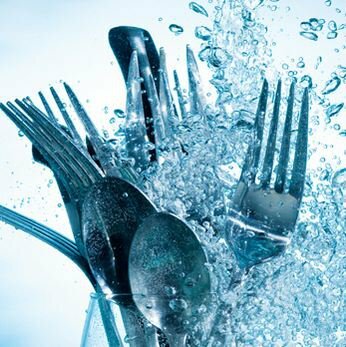 Over loading/ over stacking can leave you with some dishes not cleaned well as the water spray wouldn't reach them. 2. Use the side sections to put the cutlery instead of using the cutlery holder to save space and accommodate more dishes. 3. Once the dishes are done, leave them in the washer for sometime for the heat to subside and dry them completely. 4. After removing the dishes, I like to place them in an open dish basket for some time before setting them in their respective places in the cupboard. Overall, I would give Dishwashers a 4.5 stars. 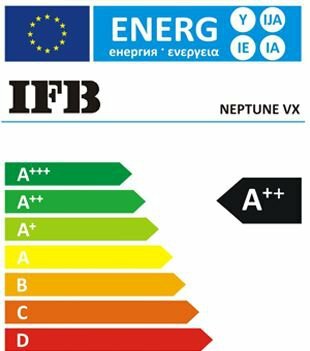 IFB Neptune VX works greatly well for me, and as this is the only dishwasher i have used, the 4.5 would be applicable to this as well. A quick Thank You to Amazon for 2 day delivery and auto request on installation that was also completed within 2 days. We are a family of 3 adult & 1 child. 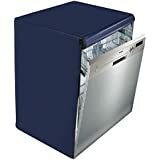 With high vessel usage(cook) leading to 2 wash per day. Let me summarize my review in bullet points so that it is easy to read. No worrying about maid schedule or leave/ fear of them leaving. i think for working couple maid schedule is more important than our own work schedule. Detergent/Salt/Rinse Aid all together is costing me 15-16 rupees per cycle(i have a hard water supply). 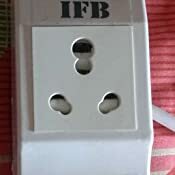 IFB/other need to reduce the price of the same. 30-35 rupees only for detergent each day is little expense as compare to maid salary. I am not even counting capital contribution or elec. 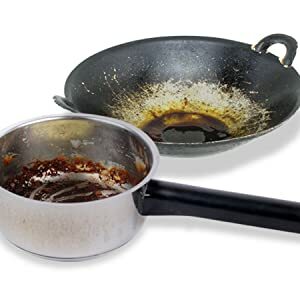 - Aluminium vessels like cooker/pan/kadhai will form small spots due to oxidation hence not recommended. What i do is once in a week clean with steel wool to get rid of spots. i still put them in Dishwasher. - in future i will buy only dishwasher safe vessels, might be little expensive. 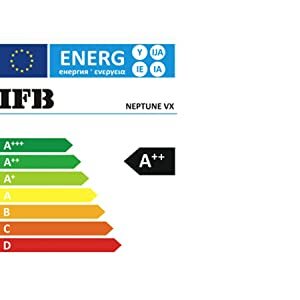 Recently I purchased IFB Neptune Dishwasher. I would like to share the Pros first. Cleaning is fine with respect to other dishwasher. Must purchase if you want to get independence from the MAID. I would rate the Product as 4. IFB Customer care is worse. Plastic utensils life will be shorten. 1.0 out of 5 starsCouldn't even arrange a demo.. Worst local support in Satara! IFB's online support and call centre is the worst. I've never came across any brand which is so indifferent to cutomer's disappointment. Local IFB service centre in Satara, Maharashtra is even worse. These people straight away cut your calls and never call back. I could not even arrange a demo for my new dishwasher. 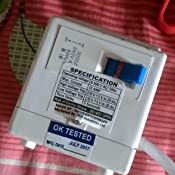 Returned this product after 10 days of silence from IFB's side. 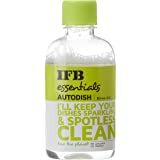 Strongly recommend not to take this or any other product of IFB's from amazon. Check if your local service station is good and then only buy it. Having used it for a month after our older LG model gave up post 8 years of use, must say it works rather well. The trays are not of the best quality but wash quality is very good with many cycle options. Good customizable configuration. Cant comment on longevity obviously but so far so good.